SMALL and medium enterprises (SMEs) should not wait for the government’s lead to spur the industry, especially with the country’s not-so encouraging current financial situation. SME Association of Malaysia president Datuk Michael Kang said while the government can only provide a good platform and business friendly policy for the SMEs to work with, it is still up to the players to decide on how they could propel their businesses further. “Since our new government has already announced that the upcoming budget will be a tight one, SMEs should take the initiative to change the mindset and move forward as a game-changer to build the economy,” he told The Malaysian Reserve yesterday. Kang, however, said despite the expected tight budget, the government should not constrict the sector, especially for start-up companies. He said the government could also grant three years of tax holidays for the SMEs. “Hopefully with that, SMEs including start-ups should be able to speed up the contribution towards the national GDP. “Over the past few years, it only managed to record a 0.3% average growth. Hence, we expect the SMEs to grow in the next two years through an average of 4% by 2020, contributing 45% compared to the current 37.1% to the total national GDP,” he said. Kang added that a tighter budget would also mean that SMEs should look into several areas, where a win-win situation can be struck between the players and the government. The areas include start-up, capacity building, accelerate programmes, export, automation and buy local programmes. “For start-ups, there should be a one-stop centre that provides training, knowledge and financial assistance. This would help strengthen the industry overall, especially for new start-ups. “Capacity building is also another area that would help facilitate the industry further. Activities of capacity building include hand holding, financial, training, linkage with government-linked companies (GLCs), multinational companies, as well as vendors and local partners,” he said. Kang said the two other areas that need attention in assisting SMEs’ transformation into multinationals are accelerate programme and export initiative. The export programme could assist first-time exporters in various segments including quality, branding, packaging, exhibition and business-to business. Kang said SMEs need to move into automation and move towards the online segment. “The move towards the online segment is to improve productivity and competition and reduce labour, especially on foreign workers. “The government should also provide tax incentive to get more SMEs moving forward as to be more competitive in today’s globalisation,” he said. Kang also noted that the government should take the lead on initiatives that promote local products, as it would assist SMEs to be recognised for their capabilities to deliver products. Meanwhile, Small and Medium Enterprises Association Malaysia (Samenta) has called on the government to focus on sustaining domestic consumption and to continue supporting the 900,000 SMEs in the country. In a statement last Friday, its chairman for policy and government relations Datuk William Ng listed out five wishlist, for the upcoming Budget 2019, for the government to consider. Among others, the association urged the government to retain the tax reduction scheme currently used in assessment years 2017 and 2018 of between 1% and 4% for any increase in chargeable income, in order to stimulate greater growth among SMEs. 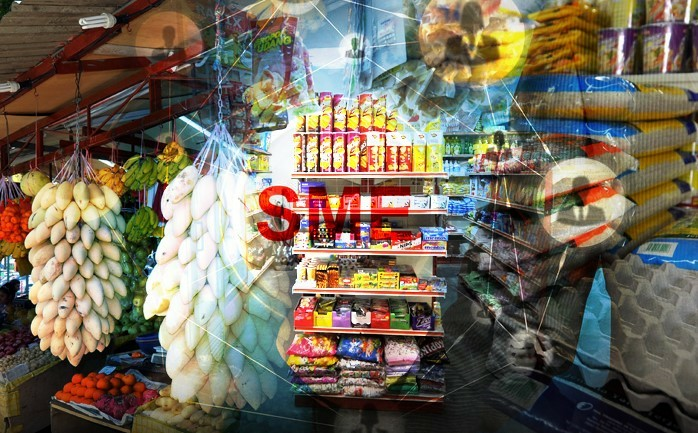 The association also suggested the government to set a target of 30% for all procurement by government departments, agencies and GLCs to be from SME vendors, as to encourage greater market access for SMEs. Samenta said the government should provide a 1% additional contribution to the Employees Provident Fund for all employees of SMEs, to counter the talent crunch that’s inhibiting SME growth. The association added that the government should provide double tax deduction for all training attended by SME employees and for participation in career fairs, to encourage capability development within the SMEs. Samenta also requested the government to provide tax exemption for income of up to RM50,000 for all investors in peer-to-peer and equity crowdfunding, in order to encourage greater flexibility and robustness of financing for SMEs. Finance Minister Lim Guan Eng is scheduled to present Budget 2019 in the Parliament on Nov 2.